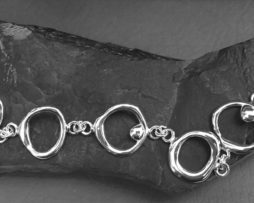 A smaller version of the eye catching free form bracelet. 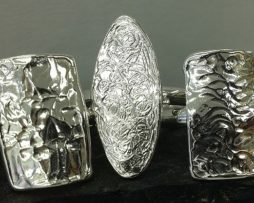 For women who like a more delicate touch in their jewelry. 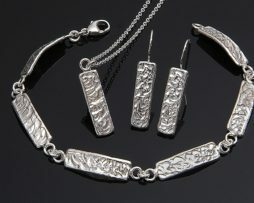 Also individually created in wax, links are cast in Sterling. I make all of my jump rings with a heavy gauge wire for durability and they are also soldered together. A medium Sterling Lobster Clasp is used on the smaller link size bracelet.